This is not a how-to book for new parents. 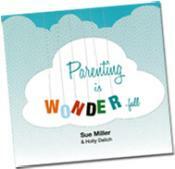 It's a how-it's-been-done book for new parents. It's not a book for your bookshelf, but for your coffee table. It's not just our words, but multiple families' stories and photos. It's not for those wearing rose-colored glasses, but with sleep deprived eyes instead. This book is not for the perfect family. This book is for YOUR family. Then, she asked if she could share our family's story in the book! She wanted to share our story as an encouragement and inspiration to others whose families have been built in unexpected ways. Of course, we said YES! She wrote up a beautiful 1-page story on how God's Plan A has unfolded in our lives. Last week I got a copy of the book and it is totally wonderful (pun intended!). It's super creative, energizing, inspiring, entertaining, and practical. Our story and family picture is featured at the end of the book (alongside a few other totally captivating families) and there's even a full-page picture of Addise in the beginning of the book. I hope this book and our story is encouraging and helpful for others. We are so grateful - not just to be highlighted in this book - but for the beyond-comprehensible story God's writing in our family. If you want to get a copy to remind yourself of how wonder-full parenting is meant to be or you want a great gift for a friend or you just want to see the Diaz family feature story, you can buy it HERE. Parenting truly is full of wonder, even on the days when it doesn't feel like it at all.